The ninth ZEE Jaipur Literature Festival demonstrates its global stature once again hosting the world's leading writers and thinkers. 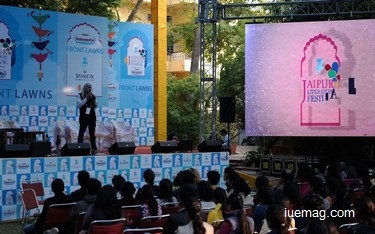 The ZEE Jaipur Literature Festival is the world’s largest free literary festival. Celebrating national and international writers, the festival has hosted some of the best regarded and loved writers from Nobel Laureates to star debuts including OrhanPamuk, J.M. Coetzee, John Berendt, Ian McEwan, Vikram Seth, Wole Soyinka, Salman Rushdie, Pico Iyer, Simon Schama, HanifKureishi, Vikram Chandra, Michael Frayn, Tina Brown, Shashi Tharoor, and Mohammed Hanif among many others. Writers and festival directors William Dalrymple and NamitaGokhale invite authors from around the world to take part in the 5 day programme set against the stunning cultural heritage of Rajasthan in the Diggi Palace in Jaipur. 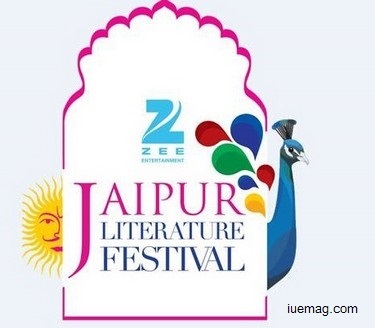 The ZEE Jaipur Literature Festival, described as the greatest literary show on earth, today announced 165 world-class Indian and international authors set to contribute to a spectacular line up for its 2016 event. Taking place from 21 to 25 January 2016 at the beautiful and historic Diggi Palace Hotel, the ninth edition of the ZEE Jaipur Literature Festival sees leading authors of our times coming together in a global celebration of literature. Headline names set to appear at the festival this year include the legendary Margaret Atwood, poet, novelist, literary critic, essayist, and environmental activist, even as her new novel, ‘The Heart Goes Last’ is appreciated by her many fans around the world;Ruskin Bond, beloved to generations of Indian readers; Steve McCurry one of the world's greatest living photographers; controversial Harvard historian Niall Ferguson and Britain’s national treasure Stephen Fry. French Economist and global voice on wealth and income inequality Thomas Piketty, Bosnian American fiction writer AleksandarHemon, Israeli author and peace activist David Grossman, and India's most celebrated psychoanalyst and author SudhirKakar take centre-stage alongside some of India’s leading writers, including prominent Hindi poet and author Uday Prakash, SahityaAkademi Awardees in the world of Assamese literature Rita Chowdhury and Dhrubajyoti Bora as well as prominent Gujarati poet and scholar SitanshuYashaschandra, among others. The 2016 Festival embraces and explores globally vital issues such as migration, privacy and navigating change, bringing together a range of expertise and perspectives on stage throughout the five days. HomiBhabha from the Mahindra Humanities Centre curates a strand of sessions around the theme of privacy in the contemporary world. Contributors include British author and columnist Ben Macintyre. Frontline reporters discuss conflict and its effect on the modern world with American reporter Dexter Filkins, English foreign correspondent Christina Lamb and CNN’s national security analyst Peter Bergen. Science communicator, children’s author, journalist and novelistLucy Hawking speaks of her extraordinary journey in transmitting the awe, wonder, and understanding of our universe to young readers. As ever, the festival celebrates the rich diversity of languages in South Asia. Leading Indian writers include Mridula Sinha, AlkaSaraogi, Ashok Vajpeyi, Yatindra Mishra, PrabhatRanjan, Harish Trivedi and MridulKirti in Hindi, Anita Agnihotri in Bangla, VivekShanbhag in Kannada, Ila Arab Mehta in Gujarati, MadhavHada in Rajasthani, MakarandSathe in Marathi, SahilMaqbool in Kashmiri, and many others including the Santhali publisher Ruby Hembrom. The languages given voice in the programme so far include Assamese, Gujarati, Hindi, Kannada, Kashmiri, Malayalam, Marathi, Pahadi, Punjabi, Sindhi, Santhali, Tamil and Urdu with more to be announced soon. Our focus on the rich oral heritage of Rajasthan continues with a session on the Kaavad traditions of illustrated storytelling and performance. The unique multi-lingual flavour of the festival is further enhanced by the presence of international languages such as French, German, Spanish, Japanese, Icelandic and Slovenian. The 165 authors currently announced as participating in the ZEE Jaipur Literature Festival are as follows. There will be further announcements over the next two months to reveal the full programme of around 250 authors. Any facts, figures or references stated here are made by the author & don't reflect the endorsement of iU at all times unless otherwise drafted by official staff at iU. This article was first published here on 30th October 2015.